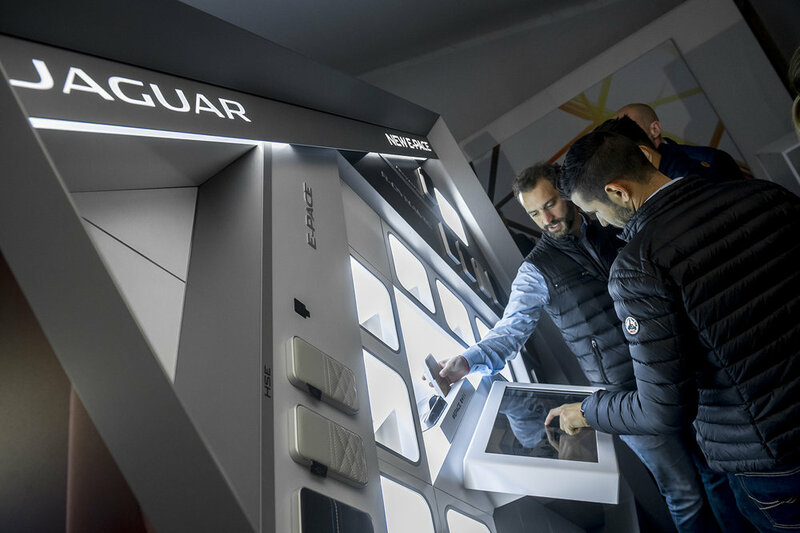 We created a customer experience that brought the E-Pace to life and delivered Key Stories to the customers through digital and tactile interaction. 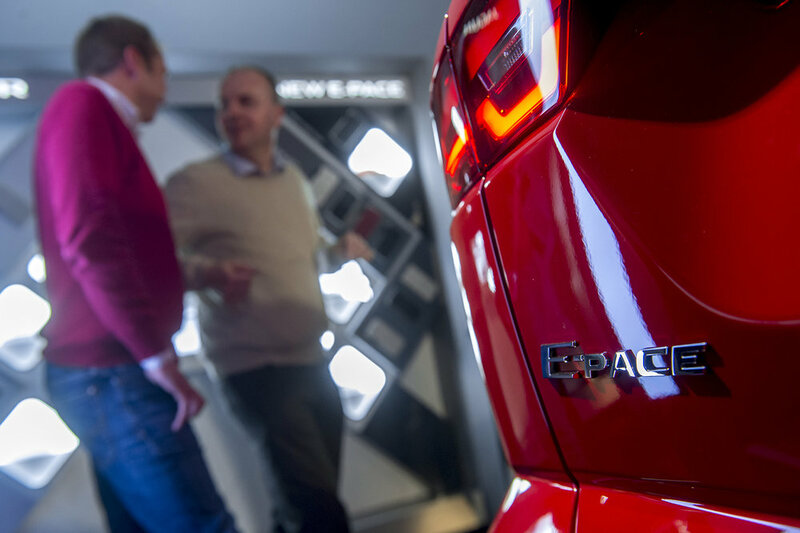 In addition to creating proximity activated and touch content, we also produced an interactive configuration experience to showcase Colours & Materials available for the E-Pace, with each Colour & Material sample fitted with an RFID chip, allowing customers to interact and discovery designer choices. Our content health tracker allow us to globally analyse digital customer interaction, to better understand the wishes and needs of our audiences through these experiences and help us strive to create the best user experiences going forward. Activated in over 12 countries in 2 years and over 10,000 colour and material emails received. An absolutely. 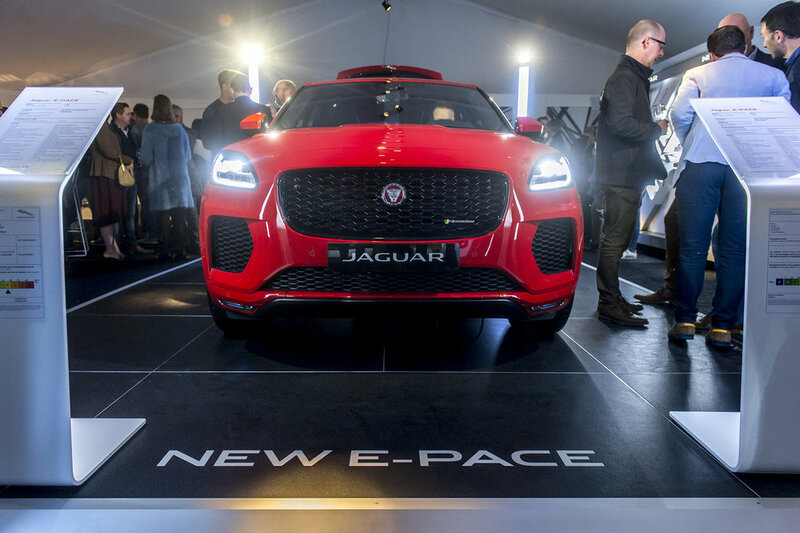 The overall result is more than 15,000 test drives arranged following the E-Pace activations. Our task was to showcase F-PACE – one of the most important launches in Jaguar’s history. 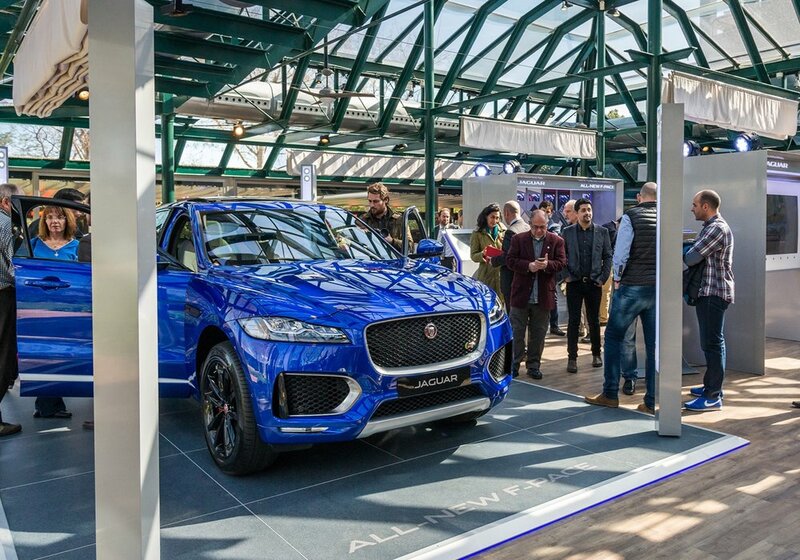 A life-size model of F-PACE was created using the latest 3D ‘lenticular’ technology, showcasing the vehicles defining characteristics and capabilities against different rural, urban and sporty backgrounds. Deployed in high footfall locations in 7 worldwide markets, at airports, shopping centres and dealerships, it even featured outside at ski resorts. But that’s not the best bit. 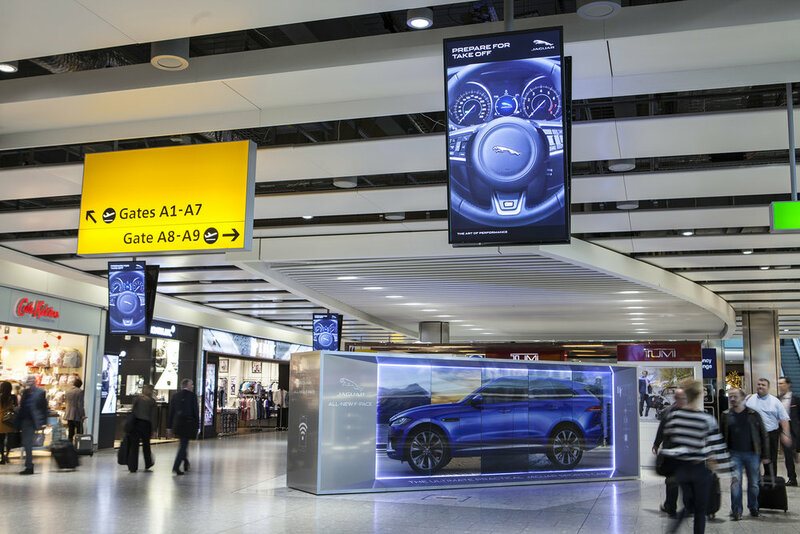 Our real innovation was to use i-Sender technology to push Jaguar content to consumers’ devices as they passed by the activation, creating an immediate connection between them and the vehicle.